Your sales representatives promote your business and compliment your products. Do you reward them with base salary, commissions, percentage of revenue? InOrder supports your compensation programs for the people who support your business objectives. Commissions payables accrue as frequently as daily and statements with payments can be generated whenever necessary. Commission payables are kept separate from general InOrder Accounts Payable. 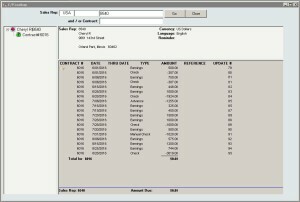 Security privilege and audit trail from A/P and A/R, plus a secondary audit trail to track all sales territory assignments and changes throughout the InOrder system. Allows a multi-level sales territory hierarchy, including assignment by geography and customer type with overrides by customer, order batch, or individual order. Contract clauses pay commissions based on dollar amounts, percentages, resolutions, or sliding scales and may even vary by date range. Multi-clause commission contracts are defined with support for sophisticated filtering criteria when necessary using SQL Where clauses. For more information about the InOrder Commissions Enhancement, contact Morse Data Corporation. The InOrder Subscriptions module allows the same customer – in fact the same order – to have both subscriptions and regularly stocked items. This module also does full unearned-to-earned income accounting and has extensive renewal marketing capabilities, including various renewal testing scenarios. Membership accounting with special Membership Price Lists and earned / unearned membership dues is also supported. The InOrder Subscriptions module allows you to sell subscriptions and memberships. Sell issue-based subscriptions where customers are purchasing a number of regularly published issues. Supports the sale of term-based subscriptions or memberships where the subscriber will receive any issues published until their expiration date. Deferred income tracking based on issues shipped or based on time until expiration. Subscribers can request custom renewals using a credit card on file. Subscriptions may be entered during regular order entry. Send welcome issues and farewell issues, as well as unscheduled gift issues. Gift issues do not accrue earned income. 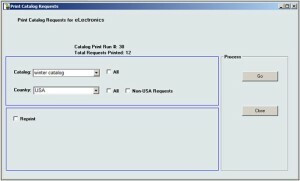 Support for expiring a subscription and backstarting selected missed issues upon renewal. Support for customer-specified backstart points when adding new subscriptions. Supports renewal series, which is a sequence of letters and/or emails in an effort to solicit subscription renewals before and after subscriptions expire. Support for renewal series A-B testing and analysis. Customer Service functions are provided for adjusting number of issues or subscriptions term or for price adjustment. In all cases, the earned and unearned income is adjusted as appropriate. Supports grace issues with the ability to reclaim grace issue income if a renewal occurs. 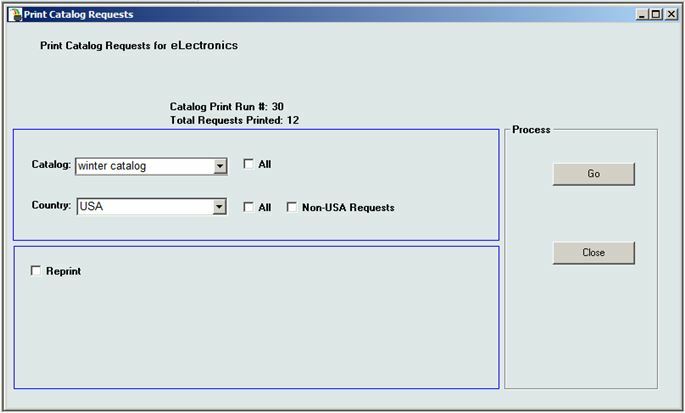 Includes a print requisition function for forecasting number of issues required over the next several issues to be sent. 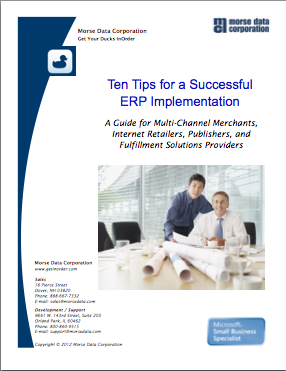 Includes the ability to group term subscriptions for combined issue mailing and for combined renewal effort and entry. Subscription issues may link to physical products or to generic issue items. Includes the ability to put subscriptions on hold after so many issues of non payment, with the ability to back start issues when payment is received. The InOrder Subscriptions Module is included with the InOrder Continuity Module, and it may be purchased separately. The InOrder Subscriptions Module integrates with InOrder Customer Service to view a customer’s active subscription and member statuses at any time. It also integrates with the InOrder real-time shopping cart, so customers may manage their own subscriptions. For more information about the InOrder Subscriptions Module, contact Morse Data Corporation. The InOrder Standing Orders Enhancement lets you create perpetual orders, such as a specific shipment of line items at regular intervals, or an ad hoc item of the month club, where active members all receive the same item or group of items each month. (Item of the month club requires the InOrder Kitting and Kits on the Fly Enhancement). 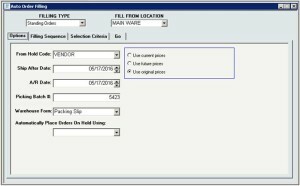 InOrder’s familiar Auto Order Filling is used to fill the standing orders. Standing Price quotes are supported. Upon customer approval, the standing price quote may be converted to a standing order. The standing order filling process can be scheduled to occur automatically. Standing Order trigger items can be defined, allowing you to create a new standing order on the fly during regular order entry for the same customer. 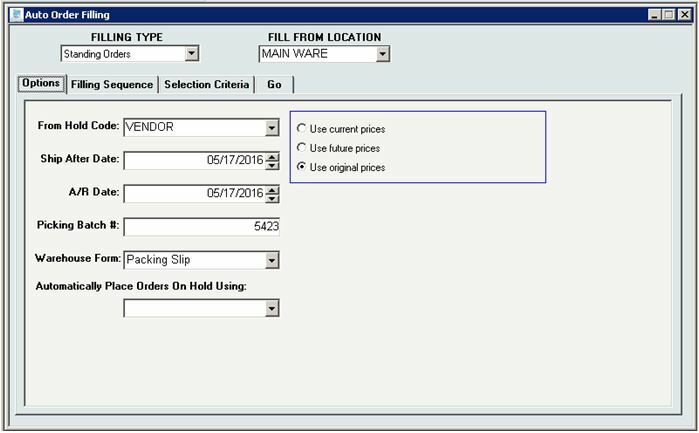 Shipment interval and an optional cancel after date may be overwritten at the order level. The standing order filling process generates a new shippable order for each active standing order that meets selection criteria. Customizable standing order acknowledgements may be produced. Catalogs are necessary for direct response businesses. They attract new buyers, they help to sustain repeat buyers, and are typically less expensive than paid search advertising. 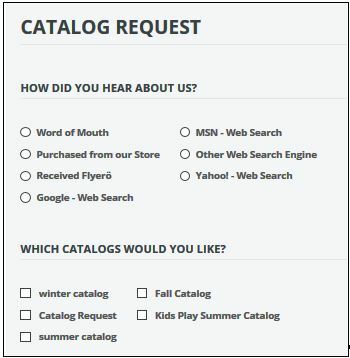 You can review a report of all pending catalog requests before sending, and use the customer’s timeline to remove any invalid requests or spam. 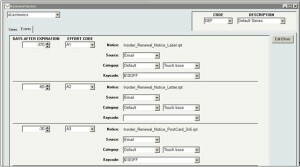 Catalog requests are printed as labels or exported to a spreadsheet. Setup is easy – simply define each catalog / brochure in the familiar InOrder interface. 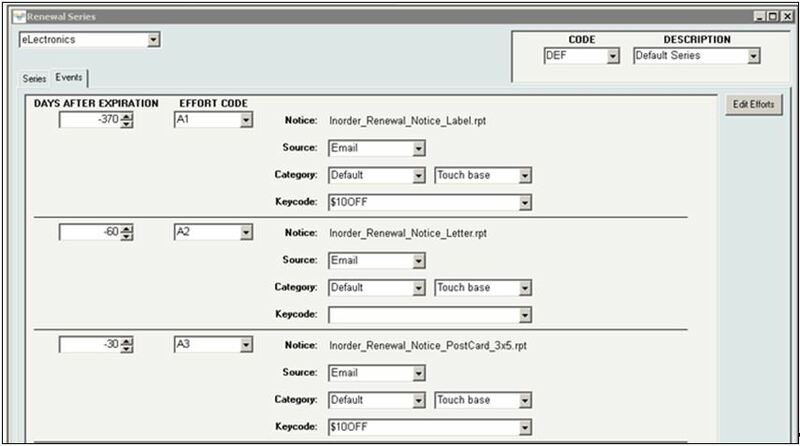 InOrder users have also leveraged this feature to track customers requesting other literature, such as rebate forms or white papers. 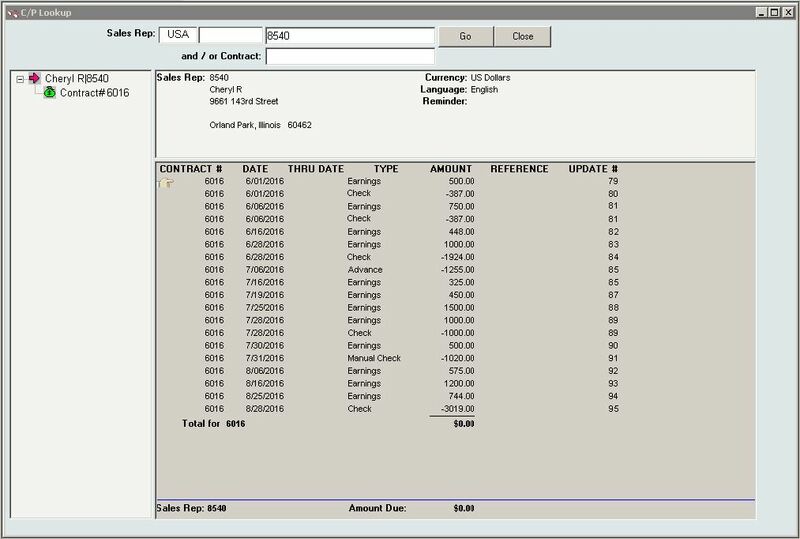 For more information about the InOrder Catalog Request Manager, contact sales@morsedata.com.